After six years of charting its own course, Ubuntu is now heading in a bold new direction. Canonical founder Mark Shuttleworth recently announced the end of the Unity and Mir projects and a plan to switch Ubuntu’s default desktop to GNOME in version 18.04. Just like that, much of the Ubuntu identity is going away. For many new users, this will result in introducing an Ubuntu they’ve never known. For folks who have been around since the pre-Unity days, this offers the promise of going back to how things used to be. However you view the announcement, switching to GNOME GNOME Explained: A Look at One of Linux's Most Popular Desktops GNOME Explained: A Look at One of Linux's Most Popular Desktops You're interested in Linux, and you've come across "GNOME", an acronym for GNU Network Object Model Environment. GNOME is one of the most popular open source interfaces, but what does that mean? Read More means big changes are in store for the Ubuntu desktop that millions of people love. When I started using Linux, the difference between Ubuntu and Fedora seemed to be a matter of a different theme and whether codecs were easy to install. A few years later, that changed. First there was the Ubuntu Software Center. Then there was Unity Unity Explained: A Look at Ubuntu's Default Desktop Environment Unity Explained: A Look at Ubuntu's Default Desktop Environment If you're switching to Linux from Windows, you might choose Ubuntu. But despite it's versatility, Ubuntu comes with an unusual desktop environment, Unity. Don't be discouraged: it's simple to use! Read More . After this came talk of Convergence How to Turn Ubuntu Phone Into a Desktop PC With Convergence How to Turn Ubuntu Phone Into a Desktop PC With Convergence Newcomer to the mobile space, Ubuntu Phone, has its own mobile-to-desktop software. If your device is compatible, and running the OTA-11 update (or later), you can turn your phone into a PC. Read More , Mir How to Install Unity 8 and Mir on Linux Ubuntu Right Now How to Install Unity 8 and Mir on Linux Ubuntu Right Now In time, Unity 8 is expected to unify the Ubuntu experience across phones, tablets, and desktops, using the Mir display server. You can try both of them out today with Ubuntu 16.10 Yakkety Yak. Read More , and Snap packages How Ubuntu 16.04's New Package Format Makes Installing Software A Snap How Ubuntu 16.04's New Package Format Makes Installing Software A Snap In version 16.04, Ubuntu is hoping to strike a balance between having stability and staying up-to-date, with a new way to install apps. Let's find out how "snaps" work. Read More . There was even a mobile project, Ubuntu Touch Should You Get an Ubuntu Touch Phone or Tablet? Should You Get an Ubuntu Touch Phone or Tablet? But is the Ubuntu Touch platform a truly successful mobile iteration of Linux's most well-known distribution? Can it compete with Android and iOS? We're going to take a look. Read More . Ubuntu has been gradually heading down a path of becoming less compatible with the rest of desktop Linux. This has been concerning for the broader open source community. Ubuntu is currently the Windows of the Linux world. If a company releases an app or game for Linux, they often start with Ubuntu. Sometimes they stop there, and people are left to create packages for other Linux operating systems on their own. Would this even be possible in a world where developing for Ubuntu means supporting a different desktop environment, display server, and package format than everywhere else? With Shuttleworth’s announcement, this concern is largely moot. Ubuntu will no longer have its own desktop environment. And since GNOME supports Wayland How To Try Wayland, A New Display Server For Linux How To Try Wayland, A New Display Server For Linux Linux distributions will soon get a new display server called Wayland. Let's take a look at Wayland, and see how you can try it out right now. Read More , not Mir, Ubuntu won’t have its own display server either. Or a mobile platform. As for Snap packages, we’ll have to wait and see what Canonical decides, but having way too many package formats How to Install Software on Linux: Package Formats Explained How to Install Software on Linux: Package Formats Explained You've switched to Linux, and want to install some software. But package managers differ depending on your distro. So which apps can you download and install? It's all in the acronyms. Read More is a problem Linux users have long learned how to live with. Not only was Ubuntu becoming less compatible with other Linux distros, using it had become a unique experience. Unity may be open source, but no other major distros have rallied behind the project. Unity is Ubuntu’s baby, and the result is that when you see an Ubuntu screenshot on the web, you know it. Now Ubuntu will be one of many distros that come with GNOME. From a commercial standpoint, Canonical’s desktop will lose its unique identity. On the surface, using Ubuntu probably won’t feel all that different from Fedora or openSUSE. Unless, that is, Canonical decides to tweak the default GNOME desktop in a way that feels more like Unity. With a few extensions, that isn’t hard to do 8 GNOME Shell Extensions that Improve the Interface 8 GNOME Shell Extensions that Improve the Interface After using GNOME for a while, you may wish to change a few things about the overview mode, or even tweak the panel. These eight extensions help you do just that! Read More . 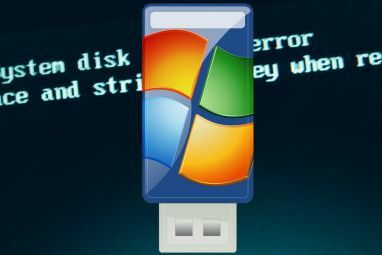 GNOME is widely used across versions of Linux and other Unix-like operating systems 3 UNIX-Like Operating Systems That Aren't Linux 3 UNIX-Like Operating Systems That Aren't Linux Recently, people started to confuse "UNIX" with "Linux." Linux was influenced by UNIX, but UNIX systems have no relation to Linux. Here are some important UNIX-based systems worth knowing about. Read More . Having the most popular desktop Linux distro support GNOME again could have more far-reaching benefits for the broader free software ecosystem. At the very least, this means more users to report bugs in GNOME and more interest in seeing those issues fixed. Much of Canonical’s involvement with GNOME software has consisted of patching apps to fit the company’s unique vision for Ubuntu. Now that Ubuntu has had the better part of a decade to try and fail at becoming its own thing, Canonical may be more invested in working directly with the GNOME developers to implement changes. Only time will tell. Whether or not Canonical takes an active interest in contributing to GNOME, the company should have an easier time maintaining a stable level of quality. This has been a growing problem among more recent releases of Ubuntu. 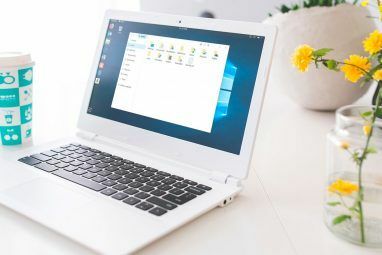 Many users have grown frustrated with a desktop that has barely changed, lost features, and become less stable 6 Reasons Your Favorite Linux OS Is Plagued by Bugs 6 Reasons Your Favorite Linux OS Is Plagued by Bugs You found a new Linux operating system to try, and you loved it. But then it went wrong. Sometimes Linux gets buggy after a month or two. The question is, why? Read More . This change in focus is coming at the expense of jobs. Open source values aside, Canonical is a private company. Following the announcement of switching back to GNOME, The Register reported that Canonical has layed off over half of the team that worked on Unity. Remaining team members are being shuffled to other departments. Cuts aren’t limited to Unity, for that matter. Other departments are seeing a reduction in headcount as well. In contrast, parts of the company focused on areas of interest — such as cloud and Internet of Things — are growing. Shuttleworth says these changes are needed to attract investors who may take issue with a company paying for so many people whose departments aren’t turning a profit. Nonetheless, it’s sad to see people lose their jobs. Not only that, these were some of the relatively few positions out there that pay people to design desktop Linux. Just because Ubuntu defaults to GNOME, that doesn’t mean you’re stuck there. There have always been alternate versions known as “flavors” that come with other desktop environments. These include Kubuntu, Xubuntu, and Ubuntu MATE. For years now, you’ve had the option of using an Ubuntu desktop that defaults to GNOME thanks to Ubuntu GNOME. In the pre-Unity days, non-GNOME desktops didn’t receive quite the love that default Ubuntu did. While Canonical is unlikely to start pouring resources into them now, the company seems less interested in developing features that they can’t use either. Kubuntu users won’t be sitting around waiting for a working messaging menu, Ubuntu One applet, or a KDE-friendly Ubuntu Software Center, because those projects no longer exist. This puts alternative desktops on more equal footing The 12 Best Linux Desktop Environments The 12 Best Linux Desktop Environments Picking a Linux desktop environment can be difficult. 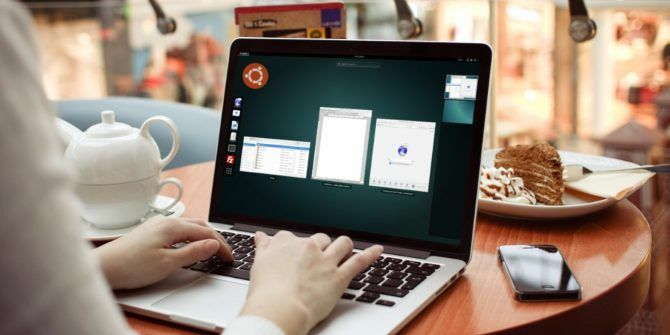 Here are the best Linux desktop environments to consider. Read More . What Do You Hope the Future Holds for Ubuntu? Much of what I’ve said above is speculation. While some of these changes are guaranteed to happen, we have to wait and see what Ubuntu ultimately becomes. Version 18.04 is a year away. This gives us plenty of time to discuss what we hope to see next. Are you happy about the news? What do you want to happen in future versions of Ubuntu? See you in the comments! Explore more about: GNOME Shell, Linux Desktop Environment, Ubuntu. It is indeed sad to hear that these folks are losing their jobs, (I hope and pray all of them find meaningful and well-paying work!....and SOON! Know this: your contributions to the Ubuntu Linux Desktop experience have been seen and felt around the ENTIRE GLOBE!! As people from Africa, India, Asia, Australia, America, & Europe, and all points in between have seen Ubuntu first hand!) I am sad to hear that Unity is no more, while it wasn't my choice of desktop (I guess because I "started" with fedora Linux...and I've been with them ever since!) I DID have it running on a desktop with maxed out RAM (32GB) so it was fast and responsive. Now that it's going away, I'm in the process of trying out some of the other desktops that are available. So far?...Budgie and GNome seem to be the closest to Unity, ...while the others ones I've tried are more traditional and extremely functional regarding getting work done. (Those would be MATE.....Cinnamon....KDE...and XFCE!) either way.....i don't plan on ditching Ubuntu....once I make my decision on which desktop I will replace Unity with.....I will just continue using it and enjoying the benefits of such an amazing Operating System! Well said. Let's raise a glass to everyone who has made the Ubuntu desktop what it is. I have been an Ubuntu user for ten years. I tried Unity three times and then finally gave up, switched to Gnome Shell with a few extensions, and never looked back. Unity probably had a good tablet experience (I never had an opportunity to try it) , but it just didn't work for me as a desktop. I will look forward to switching back to LTS with better Gnome support in 18.04. GNOME's extensions really do make it an awesome experience. How important is the default desktop when it comes to Ubuntu? There are so many OFFICIAL Ubuntu alternatives. KDE, XFCE, LXDE, Mate, Cinnamon and I probably missed a few. It is not like you are locked into the default. You can also change the desktop yourself if you are technically aware enough. While there are differences in all the desktops, they are all official flavors of Ubuntu, which still makes Ubuntu king of the Linux OS's. Ubuntu alternatives aren't actively supported by Canonical. That makes them less likely to appear pre-installed on laptops, be adopted by businesses, or get installed in schools. They're also less likely to be what first-time Ubuntu users encounter (the first distro I ever tried was Xubuntu, but that was only because Ubuntu's system requirements were too high for the computer I had at the time -- I didn't know what a desktop environment was, so whatever was default would have been fine). Changing the default ultimately means changing what most Ubuntu users will experience. That's sad about the jobs. Of all the desktop environments, Unity was my least favorite. I tried it twice and it never felt intuitive to me. I love gnome on older pc's and kde on better ones. Unity just felt like a windows 8 kind of experiment (I know it wasn't, it just seemed that way to me). Even if most of them find new jobs quickly, their new employment may not be as fun or as satisfying as working at Canonical. Hopefully it is. First off, I've seen this on other sites, so I'm pretty sure it's real. Second, YES! Although it does look pretty cool, Unity is the big reason I've avoided Ubuntu, in favor of distros with better default environments. GNOME, though, is one of my all time favorites, and I'm psyched to see Ubuntu going back(although I do feel for the folks losing their jobs). I can't wait for 18.4, definitely going to be trying it out. I've also seen that their giving up on their phone and tablets. Although they didn't really turn out to well, I think that it was a really cool attempt to put something even more linuxy than Android on mobile. Oh, well. It is a shame to see both Ubuntu Phone and Firefox OS disappear from the market -- and before either of them ever made it to the US. I too would love an alternative to Android. This MUST be a belated April Fools joke. After ALL the work they've gone through to make ubuntu stand out? I can understand dumping Mir (I would too) but for me, Ubuntu is Unity, and Unity is Ubuntu. As much as I like Gnome (I used it for a while) Unity will always define Ubuntu for me. And what about the consistent UI across devices? Without Unity they have to start over! This can't be real. Canonical is no longer pursuing its vision of convergence across devices. Instead it's focusing on server-related work while largely leaving the desktop for other areas of the Linux ecosystem to design. Ubuntu may be popular for its desktop, but it's the cloud that makes Canonical money.